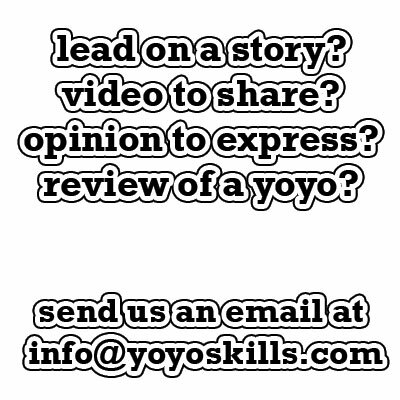 YoYoJam excels at making yoyos. 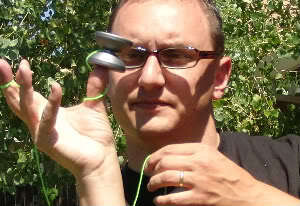 Even more, they excel at making plastic yoyos. With a long history of fantastic plastic throws, YoYoJam has a continuously set the standard higher and higher. Many of YoYoJam’s best throws hold the signature of long term YoYoJam team member Johnny DelValle. JD’s signature throws include the Hitman, Lyn Fury, X-Con, X-ConVict, Hitman Professional, X-Con Professional and the EneMe. Chances are that one of the yo-yos on this list was in, or is in your collection. JD and YoYoJam’s latest model is the Trigger. I got a chance to try this at Bay Area Classic, was intrigued and a few months later there was one on my doorstep. Delrin and celcon yoyos are awesome. I have always loved them and some of my favorite yoyos are made of delrin/celcon. I love the way it feels when spinning and the tarnish it develops over time. I have always loved the celcon yoyos YoYoJam has made in the past but this one is defferent. It is celcon, but the gap is machined like celcon which gives it a great satin like finish. Celcon is just molded delrin and the machine work makes it fell just like a raw delrin throw which makes me a happy fat man any day of the week. The Trigger is constructed of a celcon body, an aluminum solid spin axle system, and aluminum weight rings that sit at the center. The color choices on the Trigger are nice. You have the standard black, white, and blue, but the green is kind of wild. I opened the Trigger package with my daughter, and she immediately said what I was thinking. This has to glow in the dark. It looks like it glows in the dark. Heck it practically glows in the light. The pictures don’t do it justice, but this baby is bright! Unfortunately, to the disappointment of my daughter (and myself) this was not a glow in the dark yoyo. When I played the Trigger prototype at Bay Area I knew it was something special. When I found out the price was sub $30, I was shocked. 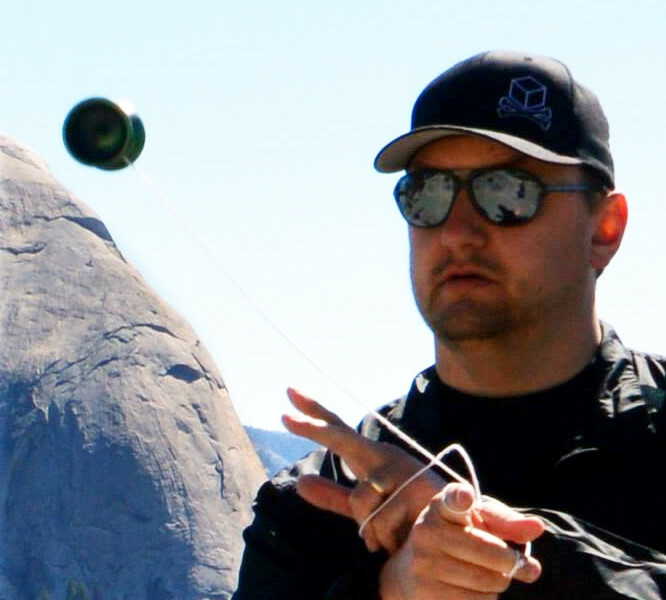 This yo-yo is quite the player. The celcon body feels nice and solid in whips, transfers, and hops and the weight placement is perfect. The one problem though was the weight rings started to slip. Unexpectedly, the Trigger started to vibe uncontrollably. It took me forever to figure out that the weight rings needed to be pushed back into place. I think the rings started to slip due to the heat we have been having here. The Trigger stays in my truck while I am at work, and it has been spiking over 100 degrees here. Grinds…. it is celcon. It grinds great and will only grind better over age. Having a yo-yo that performs so well, with such a low price tag is like walking into the valley of rainbows and kittens. I don’t think that the problem I had with the weight rings are typical, I think it was the result of a hot week in the truck. Once the rings were pushed back in, the Trigger was fine. The Trigger is instantly likable and there should is no question that this needs to be on your wish list. Word on the street is the Trigger drops tonight! (Midnight release on September 27th at YoYoBestBuy.com, YoYoExpert.com and YoYoCommunity.com!) Pull the trigger in the… uh… Trigger. UPDATE: I failed to mention how well thing thing takes a beating. Not dying if you hit the ground is certainly an advantage over metal. I have slate tile in my house, and had no reservations in letting this thing roll around all over the place. Available at YoyoSam and other fine yo-yo retailers. Written by Chris “Dr. 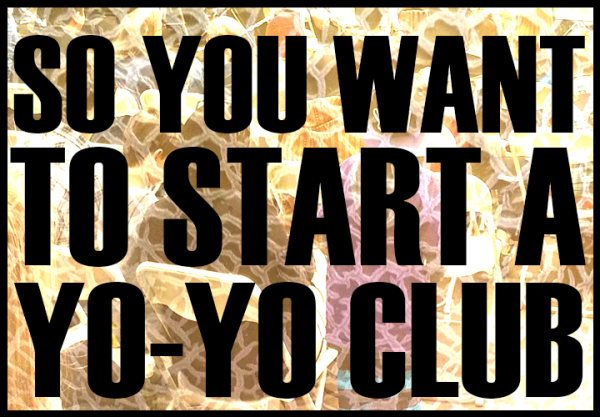 Yo-Yo” Allen who is running for mayor of Rainbowkittencville on a campaign of glitter yarn for everyone. The trigger performs! Killer value for money performance ratio! Weight is perfect! I dropped some krayzie glue in the inner edge of the weight ring and viola… no slips no vibe. I also us that new $6 buddah dimple bearing (think low cost center trac). It has a long spin and in my opinion… highly outclasses the dark magic 2. Very stable on string and with the fair weight it seems to fly fast and very sure through the air. IT AINT FLOATY BY ANY MEANS !!! This is much better then the starlite. the starlite was good, but it was essentially a cheaper protostar when you look at it. the trigger feels like a protostar/starlite in some respects. it feels a little heavier on the string, and has a superb grinding finish, which the starlite retained (good grinds… sort of) but the trigger is smoother, more unique, and has better spin times (metal weight rings). this yoyo is fully capable of being a competition yoyo. if you have a starlite, this could be considered an alternative (not different enough to be considered an upgrade), and if you are considering both, trigger>starlite in my opinion. Just got this in the mail last night, plays and feels really great! Popped in a Trifecta bearing, and it plays super smooth, especially for 28 bucks. Sleeps for a perfect amount of time too – just over a minute for me, and my throw isn’t even good. But yes, great review! That’s exciting that they were able to mold the body and then put a machined finish in the gap to improve the feel. Anyone else think YYJ should release a REAL GITD version? How does this compare with the YYF Starlite? By the way, is that glitter yarn stuff good yoyo string? Just ordered one after reading the play section of your review (another great one). Strictly against policy, but I had to get ready for school.bi finished just now. Great review as usual!